Ahh, it’s that time of year again! 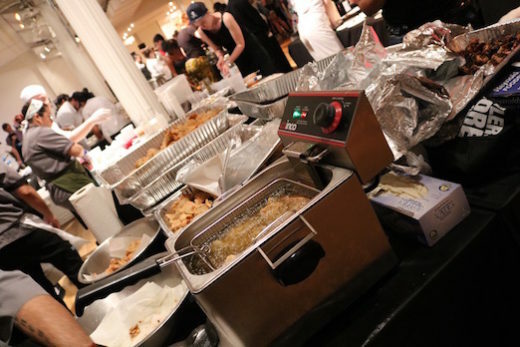 Foodies in New York rejoice as winter clothes are packed away, the sunshine is beaming, and summer food and drink festivals begin to ramp up. 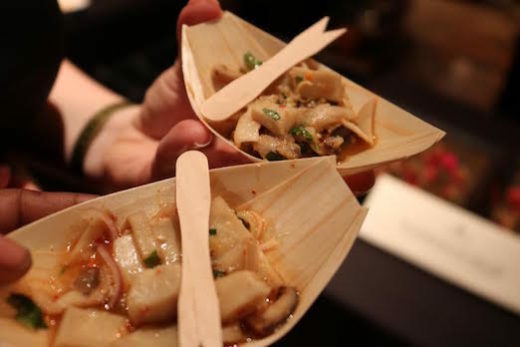 One of the first major food events of the season is the much-anticipated Village Voice’s Choice Eats tasting; this year celebrating their 10th Anniversary! The amount of food and diversity of the cuisines is astounding and a true feast for the eyes. 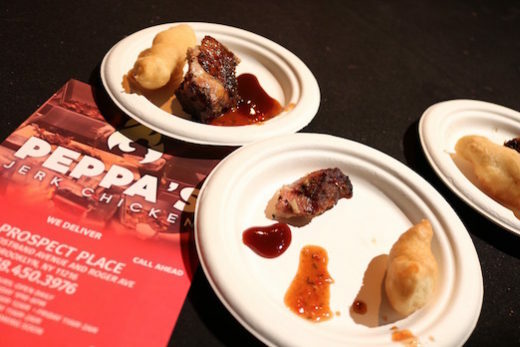 Over 50 of the best restaurants and bakeries, representing all 5 boroughs, have the opportunity to showcase their signature dishes as attendees dance to the tunes of a live dj and sip on complimentary cocktails. 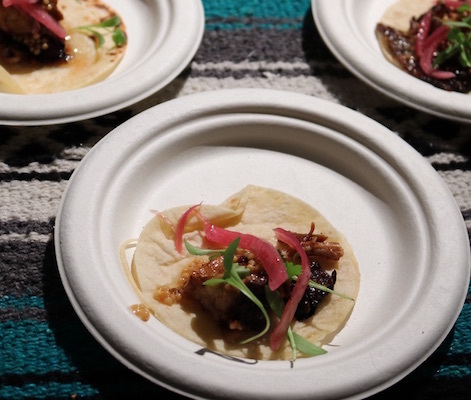 Now that I’ve had a couple days to let my food settle, I am excited to announce my top 12 favorites (in no particular order) from last weekend’s fest. Warning: Don’t read while hungry! Ofrenda Cocina Mexicana (113 Seventh Ave. South, Manhattan) Taco de Barbacao. Savory braised lamb, red onion, cilantro and salsa verde made for one scrumptious taco. Known as one of the top tequila bars in the city, their inventive spins on Latin cuisine make them a popular destination for locals and tourists. Pinto Garden (117 W. 10th St., Manhattan) Mushroom Medley.Beautifully presented and sophisticated mushroom salad with a thin sweet glaze and bright fresh herbs created a dynamic burst of flavor. The modern Thai restaurant is inspired by traditional dishes from the chef’s hometown of Bangkok. Peppa’s Jerk Chicken (791 Prospect Pl., Brooklyn) Jerk Chicken.Coated in allspice, herbs, and Scotch bonnet peppers before being grilled over charcoal to the point where the chicken is so smoky and tender, the poultry fell right off the bone and had a definite kick to it! Café Rue Dix (1451 Bedford Ave., Brooklyn) Fataya. The French-Senegalese eatery in Crown Heights brought their travel-size fryer with them to cook up Senegalese-style beef and vegetable empanadas, topped with their signature habanero hot sauce. The flaky and crispy breading on the outside, stuffed with a juicy filling of your choice, was surprisingly light and not greasy at all. Row House (2128 Frederick Douglass Blvd., Manhattan) Pan-seared Scallops. 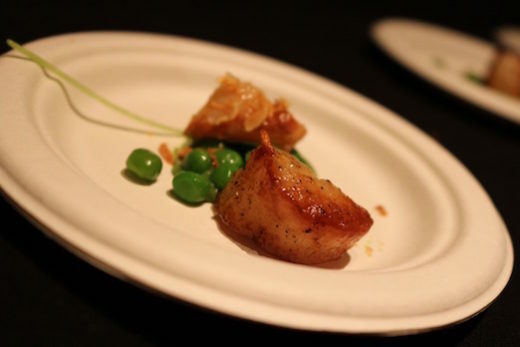 Fresh scallops with a hint of char, kept the line for their booth nonstop all night! Served on top of green peas, asparagus, fiddle head ferns and smodes quajilo chile oil, it was the perfect summer treat. Their rotating menu highlights American seasonal small plates with both Asian and Italian influences. Yemen Café & Restaurant (7130 Fifth Ave., Brooklyn, plus other locations) Lamb Haneeth (no photo available). The aroma of the slow-roasted lamb wafted from their industrial-sized cauldron through the aisles of eateries. Once I successfully followed my nose to the source, the taste of the tender lamb inundated in warm spaces met all expectations. Loi Estiatorio (132 W. 58th St., Manhattan) Walnut Cake. The Greek restaurant was passing out mini walnut cakes with cinnamon, which was the perfect sweet cap to end the night. The delectable pastry had a spongy density and was soaked in rich sugary juices that hit the spot. Sweet Generation (130 1st Ave., Manhattan) S’more Bites. 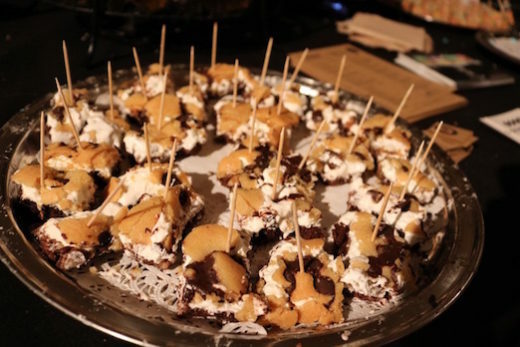 Even though this East Village bakery is known for their hand-crafted cupcakes, their S’more Bites were absolutely to die for! 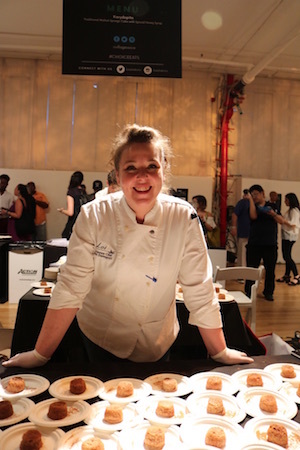 Sweet Generation not only leaves a lasting impression on NYC’s taste buds, they are equally committed to servicing the community; a portion of their profits goes into funding an in-house internship program for at-risk youth, focusing on job preparation and skills. These efforts make their products that much sweeter! 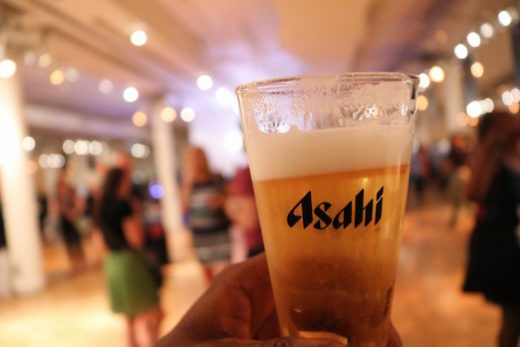 Asahi Super Dry Beer. I’m sad to say it was my first time trying the Tokyo-based lager, but I’m looking forward to my next pour of it! Refreshingly light and crisp, the most surprising quality of the lager was the thick, creamy head. Summer never taste better. 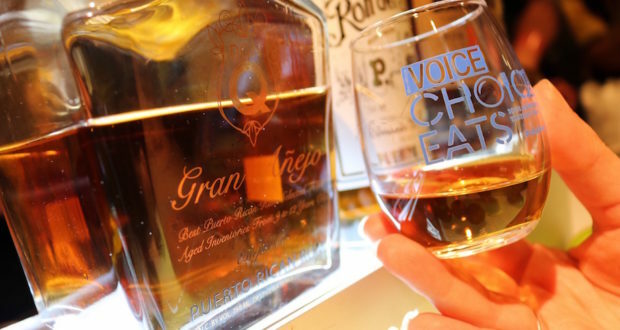 Don Q Gran Anejo Rum (featured photo). Just a sip will transport you to the Caribbean island of Puerto Rico. A smooth blend of rums aged up to 50 years could be enjoyed on the rocks or neat, drinkers’ choice. Caramel tones and butterscotch and vanilla spice tasting notes create a truly divine drinking experience. Prairie Organic Spirits. All organic cucumber-flavored vodka and gin were the base for spritzy summer cocktails to sip on in between plates and plates of food. 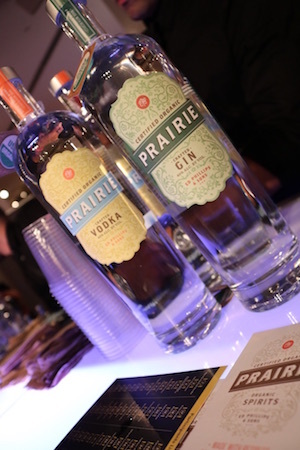 Whereas the rum was on the heavier and darker end of the spectrum, Prairie Organic provided a lighter option for attendees who wanted a nice cold beverage. I have to praise their versions of a Cucumber Moscow Mule and Gin Grapefruit Fizz. 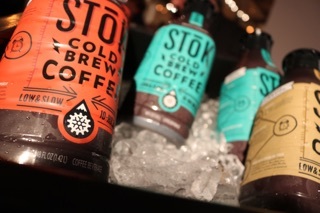 Stok Cold Brew. Unsweetened, lightly sweetened or chocolate-flavored, Stok is a regular grocery store purchase in my household; so I was thrilled to see them as one of the Choice Eats sponsors. Their cold brew retains all of coffee’s best assets: caffeine, bold flavor and smoothness, without the acidity and bitterness of its predecessor, the outdated iced coffee. All photos by Sha Savage.